When two Viennese immigrants sold their homemade sausages at the 1893 World’s Fair in Chicago, they certainly had no idea that 125 years later, the brand they were launching would be sold in some 90 percent of Chicago hot dog stands. 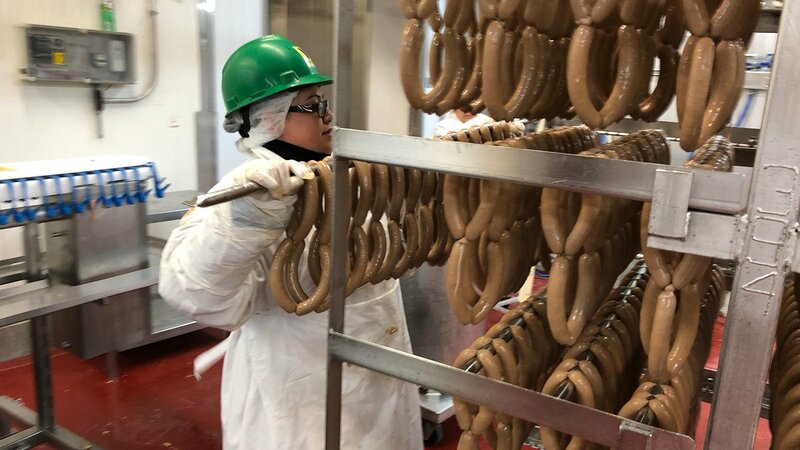 Emil Reichel and Samuel Ladany couldn’t have known that one day, Vienna Beef would turn out more than 100 million sausages a year at its Chicago plant or that 17,000 hot dogs would be sold at every Chicago Cubs home game. Vienna Beef is not the only hot dog sold in Chicago. But according to the company, their hot dogs, jumbo dogs and polish sausages are sold at more Chicago area restaurants than McDonald’s, Burger King and Wendy’s – combined. To mark its 125th birthday, Vienna Beef has opened a history museum at its company headquarters located at 2501 N. Damen Ave., where there is also a full-service hot dog stand. The company granted us a behind the scenes tour to, as the saying goes, see how the sausage is made. Ask Geoffrey: Why No Ketchup on Hot Dogs, Chicago?